Using SafeLine Truck Insurance website, you fully accept the Terms and Conditions in this notice. You must not use this website for any unlawful purposes or those prohibited by these Terms and Conditions. If you refuse to follow these Terms and Conditions, you must stop using this website immediately. SafeLine Truck Insurance can change or remove any part of this website temporarily or permanently without notice, as well as change these Terms and Conditions at any moment. This website includes links to the websites owned and maintained by third parties. SafeLine Truck Insurance holds no responsibility over the contents of those websites and their availability. 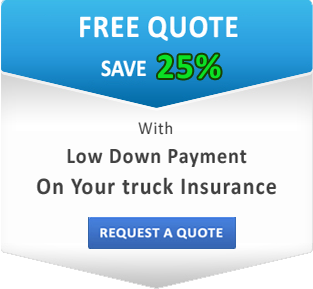 All contents and images on the website are owned by or licensed to SafeLine Truck Insurance and/or are used by SafeLine Truck Insurance in accordance with law. Contents of this website can be accessed only for personal, non-commercial use. No content on this website can be copied or used without consent of SafeLine Truck Insurance. It does not include downloading or printing pages of the website for personal use. Contents on this website are presented for general information and do not imply any warranties such as those of satisfactory quality, security, non-infringement and accuracy. SafeLine Truck Insurance is not responsible for any indirect or consequential harm or loss resulted by the use of this website. SafeLine Truck Insurance does not guarantee uninterrupted or error free functionality of the website at all times. The correction of the defects is not guaranteed. By using this website, you agree that SafeLine Truck Insurance, its employees and agents are harmless against all liabilities, legal fees, costs, losses, damages and any other expenses arising out of your use of these Terms and Conditions and/or this website. If any of these Terms and Condition is found to be invalid or illegal by any court that has the jurisdiction, it will be removed. The remaining Terms and Conditions will keep their full force and continue to be effective.